JOHN MAYER will kick off his 2019 World Tour on Saturday 23 March 2019, in Auckland, New Zealand, to be followed by Asia, including Bangkok. 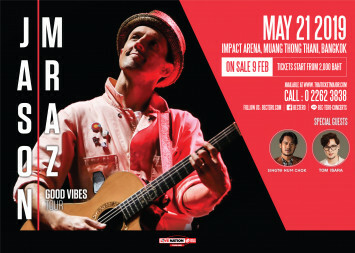 Mayer will perform his first-ever concert in Thailand as part of his Asia Tour - on Wednesday 3 April 2019 at Impact Arena, Muang Thong Thani. 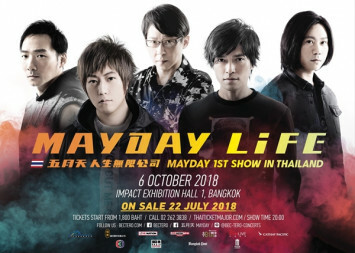 Ticket prices start at Bt2,000 and go on sale at 10am on Saturday 9 February. Live Nation BEC-Tero members can be the first to secure tickets during the pre-sale beginning at 10am on Friday 8 February. The seven-time GRAMMY winner is known for numerous massive hits, such as this year’s “New Light,” “Gravity,” “Love on the Weekend,” “Heartbreak Warfare,” “Daughters,” “Waiting on the World to Change,” “Your Body Is a Wonderland,” and many more. This evening with John Mayer will feature songs spanning his entire recording career. There will be no opening act. 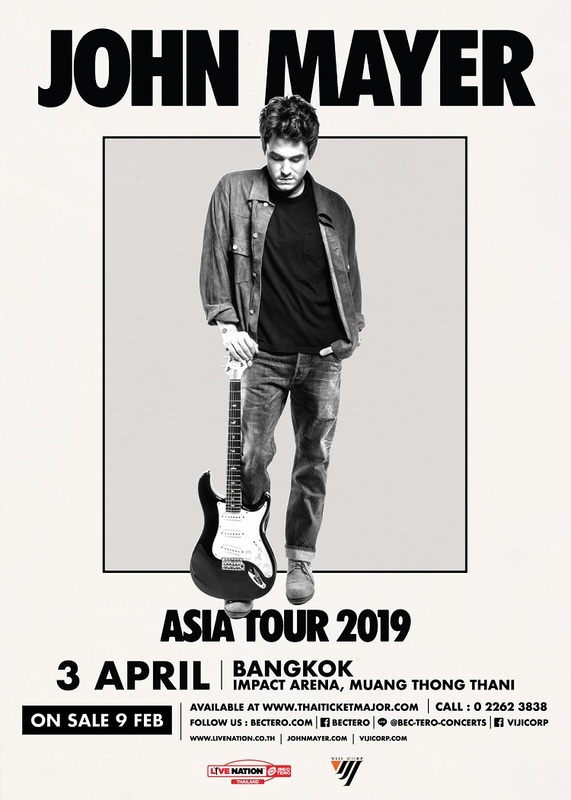 John Mayer Asia Tour Live in Bangkok 2019 takes place on Wednesday 3 April 2019 at Impact Arena, Muang Thong Thani. 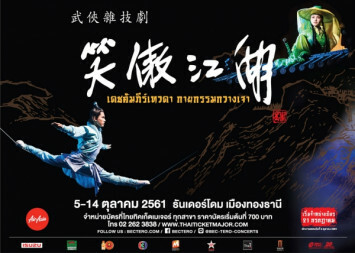 Ticket prices start at Bt2,000 and go on sale Saturday 9 February 2019 at all ThaiTicketMajor outlets, via www.thaiticketmajor.com or call: 0-2262-3838 for more information. 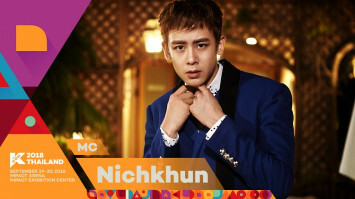 Keep yourselves updated on www.bectero.com and www.vijicorp.com, Facebook: www.facebook.com/bectero and www.facebook.com/vijicorp, Line: @bec-tero-concerts, Twitter: @BEC_Tero_Ent and Instagram: @BECTERO_ENTERTAINMENT and @VIJICORP. This is another quality production from Live Nation BEC-Tero and VIJI CORP.